The ‘bible’ of occupational health, Fitness for Work is the most in-depth and comprehensive resource available on the effects of ill health on employment. Expert authors provide practical guidance on the employment potential of anyone with an illness or disability, as well as examining the art and skills of fitness for work assessment and its ethical framework. 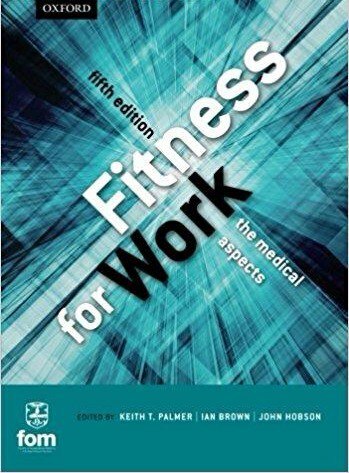 Fully revised and updated, Fitness for Work, fifth edition now includes, for the first time, important new chapters on work in cancer survivors, health promotion in the workplace, and managing and avoiding sickness absence. Following in the all-encompassing and comprehensive tradition of the previous editions, it also continues to provide coverage of and information on support for rehabilitation, work at older ages, health screening, and the full array of medical and surgical health problems that can affect fitness for work. Chapters are organized by medical condition to enable effortless reference, and are co-authored by a topic specialist and a specialist occupational physician providing a comprehensive view of the subject. The latest developments in legislation and government guidelines are included ensuring the book is up-to-date and provides the most current procedures in the field.